Three New Colors! – AmeriColor Corp. 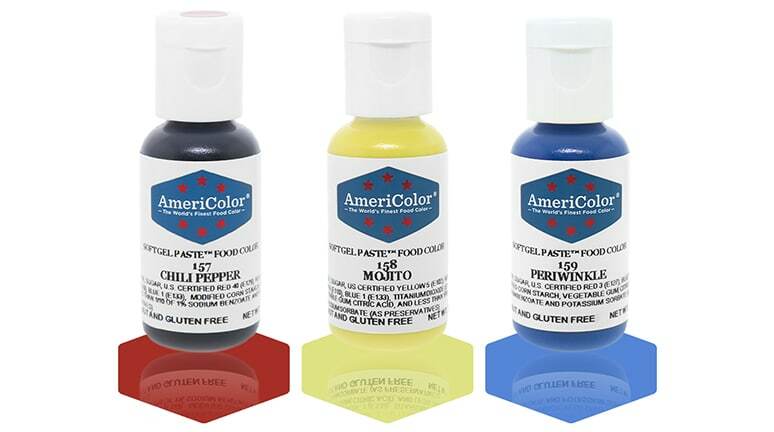 Introducing three new Soft Gel Paste™ colors from AmeriColor© — Chili Pepper, Mojito and Periwinkle! Available exclusively from our online store! Heavenly Seventy Kit now available! Plum, Olive, Crimson and Champagne!